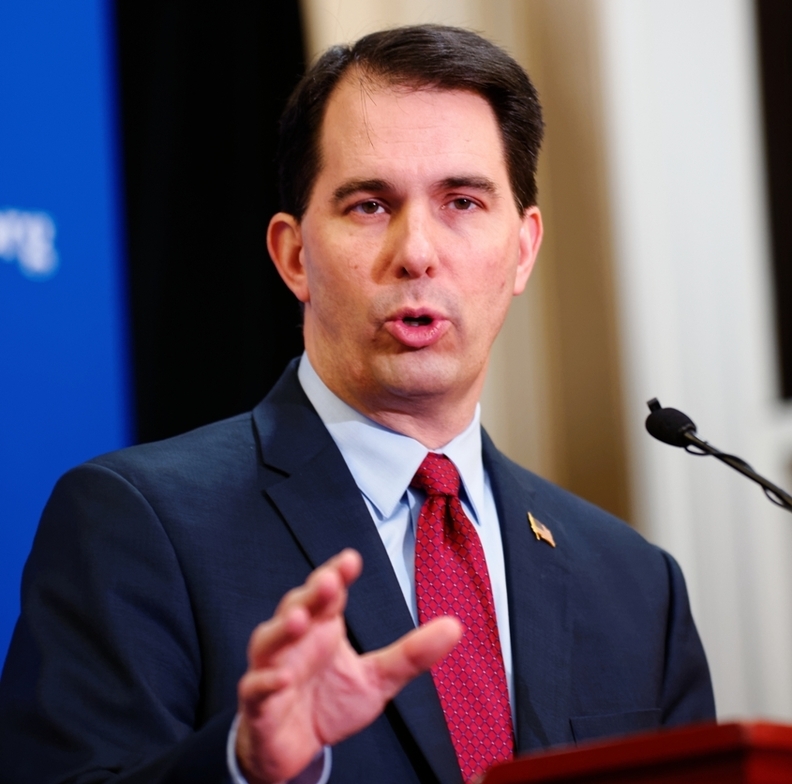 Walker told reporters Wednesday that if the program is in effect premiums will go down 5% in 2019, a dramatic shift after they increased 44% this year as enrollment dropped and fewer providers offered coverage. Walker said he was confident President Donald Trump's administration would grant the waiver this summer. "We feel very, very positive about our ability to get an approval and do so on a timely basis," he said. Under the reinsurance program, the government would provide money to health insurance providers to pay about 50% of medical claims costing between $50,000 and $200,000 starting in 2019. Deputy Wisconsin insurance commissioner J.P. Wieske said insurance providers will be required to file reports showing what rates would have been without the program so the savings could be calculated. Rates are at least 20% lower this year in Alaska and Minnesota, and about 7% less in Oregon, the only three states with a reinsurance program. There was also a reinsurance program under the federal healthcare law for its first three years. Democrats have criticized the move, calling it an election-year attempt to disguise how damaging Walker's opposition to the Affordable Care Act has been. The Legislature passed the bill authorizing the reinsurance program with bipartisan support. Walker, a longtime critic of the national healthcare law known as "Obamacare," has rejected federal money to expand Medicaid and argued for years that the law should be repealed. But this year, as he faces re-election in November, Walker has pushed the reinsurance proposal as a way to stabilize the market and lower premium costs for the state's roughly 200,000 people who purchase insurance under the law.